Pulau Hantu is a small island sited to the south of the main island of Singapore. In Malay, "Hantu" means ghost. So the literal meaning of Pulau Hantu refers to the "island of ghosts". It is believed that once a huge number of ancient Malay warriors lost their life in this island resulting in transforming the land to a destination of ghosts. The unsatisfied souls of those warriors are believed to be wandering across the island. The entire Pulau Hantu is basically comprised of two islets- Pulau Hantu Besar and Pulau Hantu Kechil. The total area of this island is around 12.6 hectares. One can wade across the trivial lagoon between the two islands at a low tide. But one must not try this at high tide. During the high tide, the mid part of the island disappears drastically, but the scenario looks completely different during the low tide. It seems like two large bays on the northern and southern side of the island. However, during high tide, the entire view gets changed as the middle part of the two islets gets blurred and water level rises upto the highest level. Now days, the island has turned into a peaceful and idyllic getaway surrounded by rich coral reefs, white sands and swaying palms creating a shady charm. In fact a tiny patch of mangroves is also available in this island. 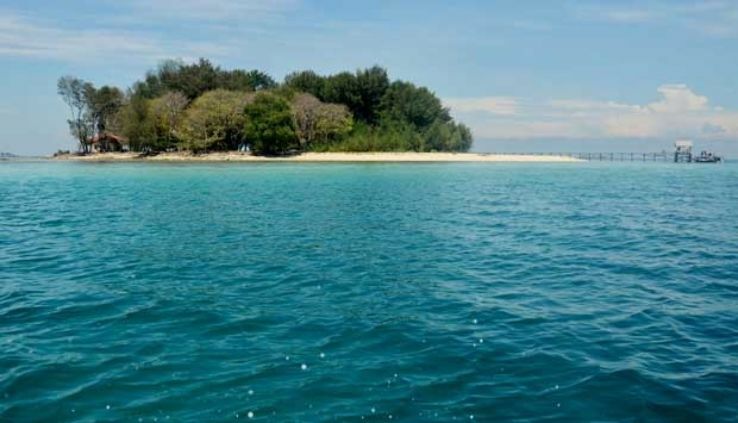 The picturesque view of this tiny island attract visitors from across the world and offers number of sea beach activities including swimming, snorkeling, scuba diving, and fishing as well. There are some attractive lagoons in this island where one can enjoy abandon swimming. Both the islets of this area are famous picnic destinations, where one can easily move with the entire family. Enjoy an excellent day out here in any of these islets. The marine life and coral are quite famous in Pulau Hantu. The sea edging this island houses different unique species of fishes like clownfish and angelfish. So, if you are fast enough, then you can easily have a glimpse of these two fast moving fishes. To get into this place, you have to hire a fast work boat from the West Coast Pier. To camp overnight here, you may have to manage a special permit as well.